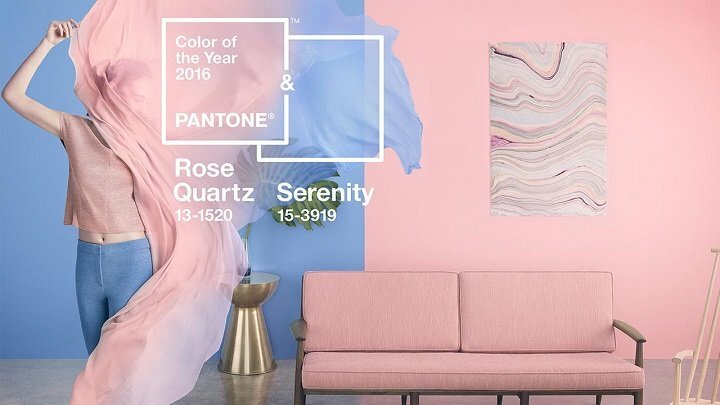 The Pantone Colors of the Year for 2016 were announced and they are Rose Quartz and Serenity. We will be seeing this in decor and fashion and florals and bridal and everywhere in between. Rose quarts is fairly explanatory, unless you don’t know what rose quartz looks like. It’s a pink, like a ballet slipper. Serenity is less obvious. It’s is a blue like a light cornflower blue, or the color of pale blue hydrangeas. Alas, this only makes sense if you are a flower person. You can see fabrics on the Kravet website. Would you want your whole rooms in these colors in equal amounts? Probably not? (Well, maybe if you love pink and blue!) I have not had clients ask me for this color palette but there’s always a first. I use a blue a lot, not always in this shade. And not often with pink. 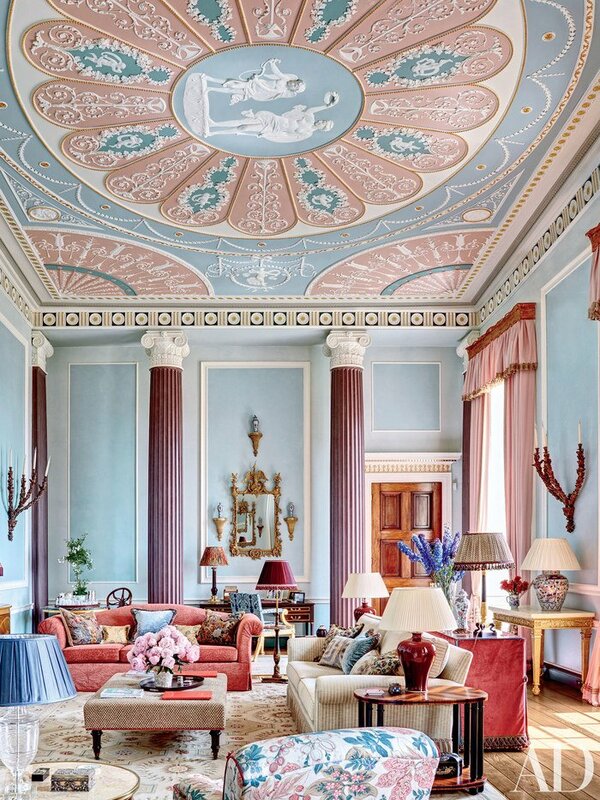 Here are some images from Architectural Digest that use both colors well. Even if you don’t like this pallete or this style, you can see the success of the rooms. Trends come and go, so I always think you should decorate in colors that you love. 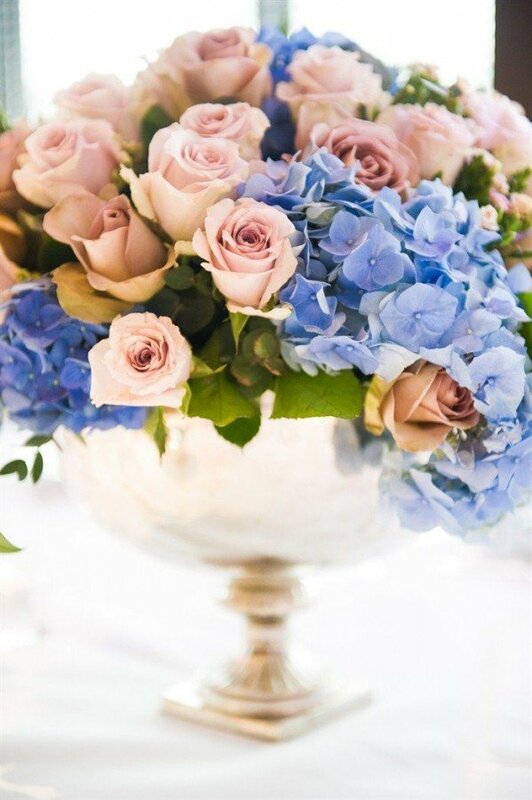 And if you like trends, nothing wrong with throwing in a little pink or blue in a room. Flowers are lovely in these colors! This photo is from Easy Weddings.